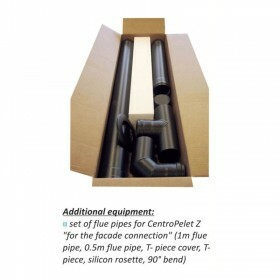 Pellet burning thermo-stoves use pellet combustion to produce hot water that can then be supplied to radiators and/or underfloor radiant panels throughout the home. 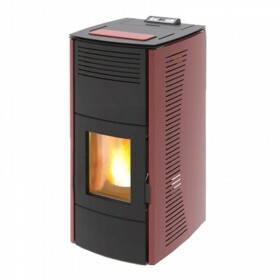 Pellet burning thermo-stoves can also be connected to existing heating systems and can work alongside solar panels. 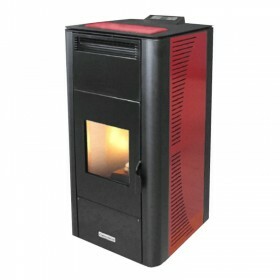 Pellet thermo-stoves There are 9 products. 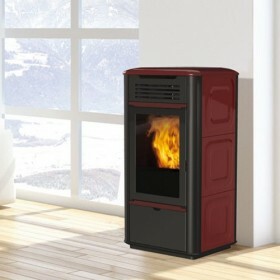 Pellet stove with original "wave" design that powers both radiator (high temperature) and under-floor (low temperature) heating systems.Produces hot air (can be deactivated) to heat the room where it is installed.